Sometimes grocery shopping is a mission. Dodge the "sugar-free but contains 1001 additives" candy. Bypass the salt-laden crisps. Skip the conventionally grown, mass bags of carrots. At Terra Madre, we're trying to make your weekly chore a little easier, with the widest range of certified organic food products for your business and family. We know marketing fluff can be confusing, which is why we've put together this handy list of definitions, so you'll always know exactly what you're buying with us. If you have any specific questions around food products we stock, please feel free to get in touch. We'd love to have a chat. A gluten-free product is one that excludes any form of gluten, which includes grains, wheat, barley and rye. For more information on gluten free diets and products, head to our gluten-free page. A dairy-free product is one that excludes all forms of dairy, including casein, whey and lactose. For more information on dairy free diets and products, head to our dairy-free page. A lactose free product is one that excludes lactose. Lactose-free is not dairy free, as it can contain casein and/or whey. A paleo diet originates from the diet presumably eaten by humans in the Paleolithic era. The focus is on fresh, unprocessed foods and the diet excludes most dairy, grains and legumes. For more information on paleo diet and products, head to our paleo diet page. A vegetarian diet is the practice of abstaining from meat, which can include poultry, red meat, white meat, fish and seafood. Some vegetarian diets also exclude dairy or eggs. For more information on vegetarian diet and products, head to our vegetarian diet page. A vegan diet excludes all animal products and by-products, including meat, poultry, dairy, eggs, fish, seafood, gelatin and butter. For more information on vegan diet and products, head to our vegan diet page. A nut-free diet excludes all nuts, such as almonds, Brazil nuts, cashews, chestnuts, hazelnuts, macadamia nuts, peanuts and pecans. For more information on nuts and handling practices, head to our nut-free diet page. A wheat-free diet removes wheat from food but still incorporates other grains. For more information, head to our wheat-free page. Organic food products are grown naturally, without the use of pesticides, synthetic fertilisers, and other man-made ways of speeding up the production process. Standards of organic food production vary widely, which is why we've written up a blog on organic food. The ACO is Australia's largest certifier for organic and biodynamic produce. It's a certification system which means all origins of food products can be traced back to their origins. A FODMAP diet refers to Fermentable Oligo-, Di-, Mono-saccharides And Polyols. FODMAPs are short-chain carbohydrates that are difficult to absorb by the small intestine. 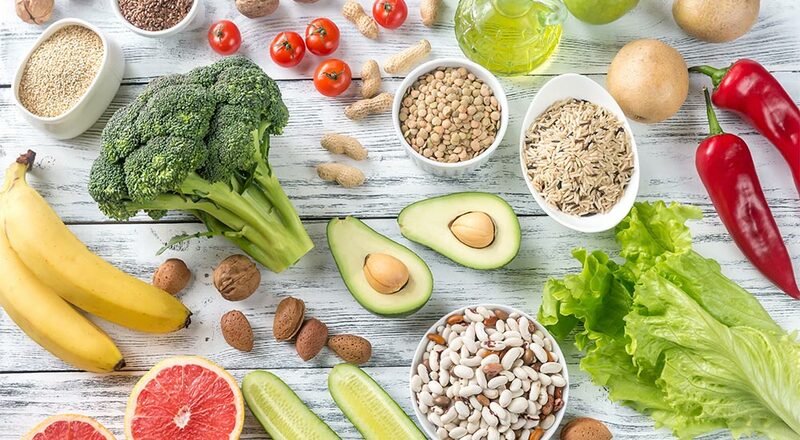 A FODMAP diet therefore, excludes foods that are high in FODMAPs, which typically include onion, garlic, most legumes and pulses, some nuts, bread and certain fruits and vegetables. Fructose is a type of carbohydrate present in fruit. Sucrose, which is 50% fructose and 50% glucose, is often added to sweet foods and drinks including cakes, confectionary, soft drinks and sports drinks. In large quantities, fructose can have a negative effect on the body, particularly if derived mainly from sucrose. It's best to consume fructose naturally through fruit. Biodynamic foods are very similar to organic foods, in that they are both grown without unnatural chemicals and GMOs. While traditional farming typically deteriorates soil over time, biodynamic farming involves adding vitality to the plant, soil and livestock. Free-range is a method of farming where animals are allowed to roam freely outdoors rather than being confined. However, the Australia definition of free range eggs according to the law is "meaningful and regular access to the outdoors” and that outdoor densities are no more than 10,000 birds per hectare. In contrast, the CSIRO has published a code of practice for animal welfare that recommends farmers should have no more than 1,500 birds per hectare. A ketogenic diet is a high-fat, moderate-protein, low-carbohydrate diet. The diet heavily restricts carbohydrate intake (for example, most vegetables that grow below ground are too high in carbohydrates to suit this diet), and forces the body to burn fats rather than carbohydrates when done correctly. An alkaline diet is a specific way of eating which encourages alkaline foods. The diet is derived from the concept that your nutrition can significantly affect the pH in your body, which has been disproven. GMO, or genetically modified organisms, have been altered using genetic engineering techniques. Examples of commonly genetically modified foods include potatoes, soy and corn. Fair trade is a partnership which seeks to make international trade more equitable. Fairtrade Australia New Zealand is a foundation dedicated to achieving better trading conditions in developing countries. Conventional farming uses chemical fertilisers, pesticides and chemical herbicides. It differs from organically-grown food, which avoids the use of pesticides, synthetic fertilisers and chemicals. Sustainable practices in regards to food is the process of farming with the least or no lasting damage to the environment. There is no current legal definition or standard for sustainable food. There is no legal definition or standard for a superfood. However it is colloquially considered a nutrient-dense food particularly beneficial for health. Wholefoods have been processed or refined as little as possible, and generally are also additive and artificial-free. If you have any further questions around organic food products, our range or wholesale and delivery inquires, please get in touch. To view our range of ACO-certified organic food, head to our homepage here.